Tottenham opened their Premier League campaign with a 2-0 win at Newcastle as the Magpies' top-flight return was sullied by Jonjo Shelvey's red card. Rafa Benitez's side had delivered a disciplined first-half display until Shelvey lost his soon after the restart, treading on Dele Alli's ankle in front of the referee to leave a side that had already lost two players to injuries facing an even sterner task. We pick out five talking points from the game at St James' Park. Alli made Shelvey's team-mates pay, meeting a Christian Eriksen cross at the back post in the 61st minute, and Ben Davies slotted a second soon after (70) as last year's runners-up shrugged off scrutiny of their transfer business to start with three points on the first Nissan Super Sunday of the season. 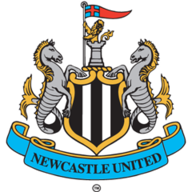 Defenders Javier Manquillo and Florian Lejeune made their Newcastle debuts, while Dwight Gayle was passed fit after a recent hamstring injury. Kieran Trippier's injury meant a Tottenham start for Kyle Walker-Peters, while Moussa Sissoko got the nod from the off. Newcastle had started brightly in the Tyneside sunshine, old boy Moussa Sissoko enthusiastically booed, but Dwight Gayle caught an early half-volley with shin rather than boot and saw a penalty appeal rendered academic by an offside flag. Paul Dummett had hobbled off with a hamstring injury just eight minutes in and Benitez was forced into a further defensive reshuffle when Harry Kane scythed down debutant Florian Lejeune, Chancel Mbemba sent on in his place. Subs used: Lascelles (7), Mbemba (6), Merino (5). Subs used: Son (7), Wanyama (n/a), Winks (n/a). Eriksen watched a snapshot spin wide of the post and saw a curling effort comfortably claimed but an organised Newcastle side largely nullified Spurs' threat and carried their own on the counter, Christian Atsu a regular source of spark down the left. Benitez would have been buoyed at the break but he was fuming just two minutes after the restart when Shelvey was shown a straight red, treading witlessly on Alli's ankle in front of the referee after the Spurs player had provocatively prodded the ball from his grasp. The game lurched into life, Kane scenting his 100th Tottenham goal only to be denied by Rob Elliot at point-blank range, but, to the chagrin of St James' Park, it was Alli who made the breakthrough, meeting Eriksen's clipped ball on the stretch at the far post. Spurs were now in control and Alli was involved in a neat second just nine minutes later, his flick eventually falling to Davies to slot into the far corner. Mauricio Pochettino's side might have had a third but Kane, set free by Heung-min Son's through-ball, clattered a post, his wait for a Spurs milestone - and a first Premier League goal in August - stretching on. 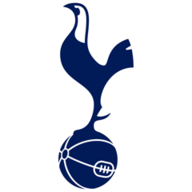 Despite Pochettino claiming he was not yet ready to start a Premier League game for Tottenham, Walker-Peters replaced injured Kieran Trippier in the right-back spot and proved a hit. A solid first-half defensive display was followed by a second half in which his attacking abilities came to the fore, the England U20 World Cup delivering a flurry of crosses into the box. Kyle Walker has gone but in Walker-Peters, Pochettino may have found another gem. Dele Alli has scored 13 Premier League goals in 2017; among English players, only Harry Kane (21) has scored more. Jonjo Shelvey was the first Newcastle player to be sent off on the opening day of a Premier League season at St. James' Park since Alan Shearer in 1999. Since the start of the 2015/16 season, Christian Eriksen has assisted more Premier League goals than any other player (30). This was Rafael Benitez's first home Premier League defeat against Spurs, having won five and drawing three of his previous eight matches on home soil against them. "What irritates me is it isn't a stamp like he's going to hurt him, it is a petulant stamp. That is the sort of thing that you have to ask him about in training on Monday - 'What are you doing? Why are you doing it? You are the captain of the football team and you have to set an example not just for your team-mates but for everyone watching around the world'. That's the responsibly the has to understand in that role." Rafa Benitez: "(Shelvey) made a mistake. Hopefully he will learn from that. He knows he has made a mistake and he has apologised but it changes nothing now. "Still I would like to see if this is a more dangerous situation than the tackle from behind to Lejeune. What is worse, what is a red card? But it's no excuses because we made a mistake and that's it." Mauricio Pochettino: "Maybe it was a little bit a situation you can smell. He (Alli) was a little bit of a target. He tried to play football and to score goals and with that action, you agree it's a sending off." Newcastle head to fellow newcomers Huddersfield next weekend, while Tottenham make their Premier League debut at Wembley, champions Chelsea the visitors. Both games are live on Super Sunday.